The English FA. has appointed Mike Dean as the referee for the North London Derby between Arsenal and Tottenham this Sunday. And the news is sitting particularly well with Arsenal fan see it as a conflict of interest. 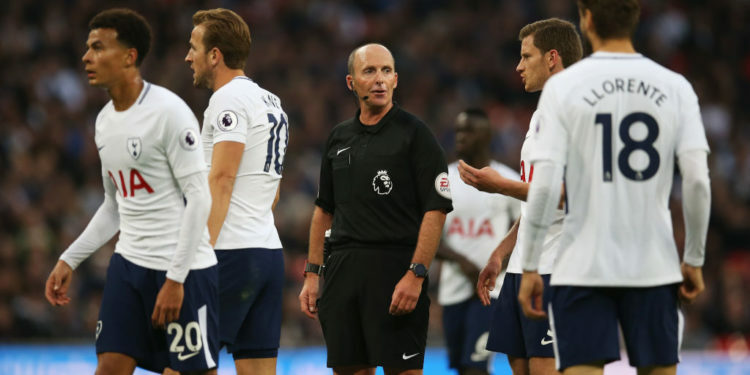 Mike Dean, one of the most experienced referees in the English game is thought to be a fan of Tottenham whom Arsenal are playing against. 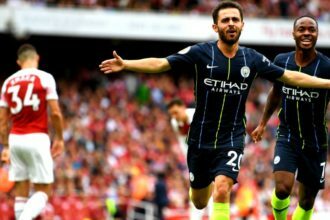 Arsenal go into the encounter knowing a win would put them above their bitter rivals who are 3 points better but have the same goal difference. Tottenham will also harbour their own resentment against him having been on the receiving end of one of his mistakes during the same fixture last season. On that occasion, Mustafi gave Arsenal the lead after nodding on Ozil’s set piece, but Spurs bemoaned the decision to give the freekick in the first place and also felt the German was offside. The North London Derby is one of the fiercest derbies in football with no love lost between the two teams starting from when Atsenal were given a admission into the league over 100 years ago.